If you’re looking to step up your game as a professional truck driver, you may have decided to investigate long combination vehicles driving jobs. 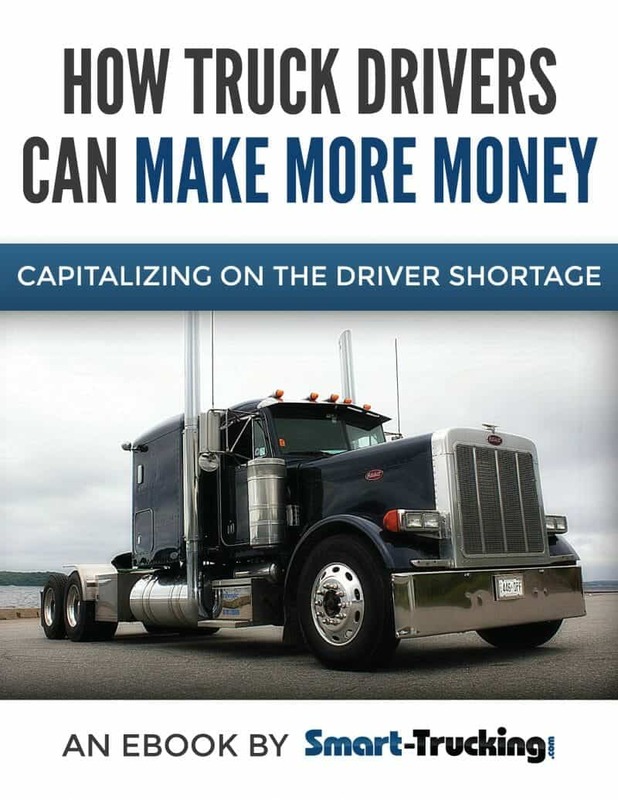 This is a specialized niche in the trucking industry, and it sometimes pays more than the average truck driving job. Long combination vehicle (LCV) configurations are a growing field in the trucking industry where multiple trailers are pulled, double or triple trailers with one truck. The purpose of this type of trucking is to either haul more or various types of cargo. You’ll commonly see these in doubles, and occasionally triples. However, the more trailers you pull, the higher the risk. For this reasons, this type of trucking is better left to more experienced drivers. It is not recommended for new drivers. 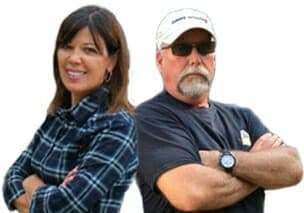 Here are some things you should know and investigate further if you’re considering getting into getting into this type of trucking. What Exactly is a Long Combination Vehicle (LCV)? An LCV is an extra long configuration of tractor trailer, consisting of a tractor and 2 full size trailers. The basic idea is to move twice as much freight as can be moved with a regular tractor trailer configuration. These tractor trailer units are very, very long. In Canada, there are restrictions placed on the operation of Long Combination Vehicles, which varies slightly from province to province. But the main rules of operation are fairly consistent across the country. 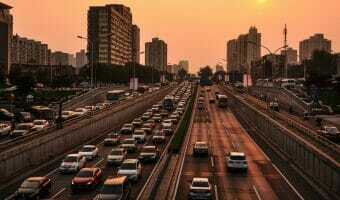 Why Use LCV Doubles and Triples? When the use of these multi-trailer combos became evident on our highways, I just shook my head in disgust, knowing this was just the beginning of a bad thing. I feared that the length of these trailer combos would only get longer and longer in the near future. Those original restrictions on the Long Combination Vehicle configuration lasted about as long as the promise made by the authorities when 53′ trailers were introduced, and became legal. Remember when the authorities said that 53′ trailers would only be allowed to carry light freight’? Then the promise changed to, ” Well, if it’s necessary to carry heavier loads, they can load the front 48′ of the trailer and leave the back 5′ empty.” “The freight rate for 53′ shipments will be higher because they can carry more freight”. That lasted for about 6 months. It seems to be the same here. they are more environmentally-friendly as the same truck emissions from one truck, can transport twice the volume of freight. These configurations can save a company a lot of money by paying only one driver, instead of two or three, in addition to saving time and expenses by sending 2 or 3 loads at once. Various industries use doubles and triples to haul some of their loads, usually during specific times of the year. 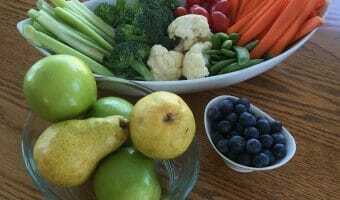 The most common industries that use them are agriculture and food. But you’ll also see them used in other retail industries as well. There are rules and restrictions regarding the operation of the long combination. These are some of the main restrictions mandated on these configurations. Only Designated Highways – Vehicles are to be restricted to specific highways and interstates. Speed – These vehicles are to maintain a speed of not more than 90 k/hr. Passing Lane – They are not to travel in the left lane. Seasonal Restrictions – Sometimes only allowed to operate in fair weather months. Trailer Weight – The first lead trailer is to be heavier than the last rear trailer. Drivers Must Be Certified Drivers For LCV’s. Although drivers are to be certified to pull these trailer configurations, Long Combination Vehicle Training, trucking companies are given free reign over the authority to choose drivers for their abilities to drive LCV’s. The FMCSA gives general guidelines for an LCV program for ‘certification’, but the program creation is up to the individual companies. 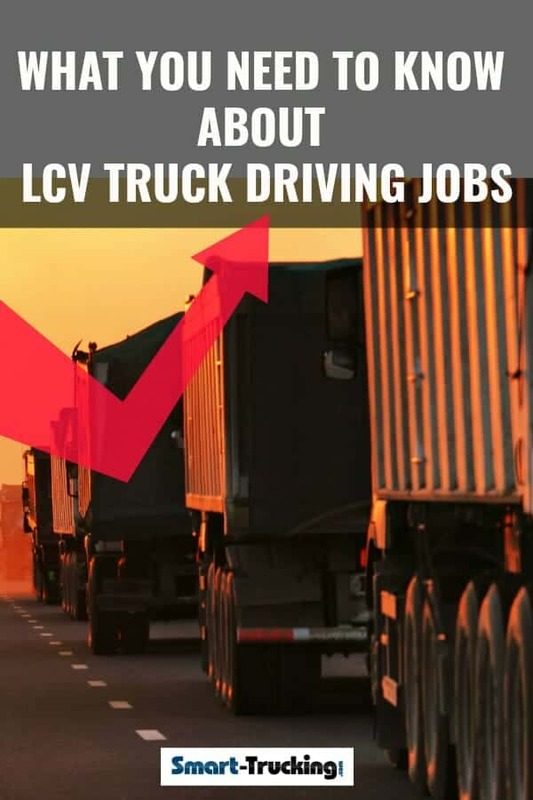 Note that the instructors for the LCV program training need only have 2 years experience driving the type of configuration they are teaching in the program. In some states, triples are completely illegal. But even states where they are legal, specific permits are required. In both the U.S. and Canada, the sizes and configurations of multi-trailer combinations varies between provinces and states. 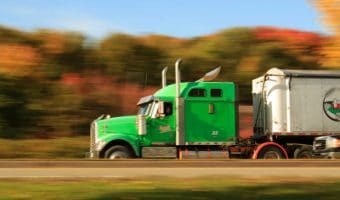 The Surface Transportation Assistance Act of 1982 (STAA) was an act created in the U.S. that established maximum lengths of commercial motor vehicles. It also designated certain highways to be used by large trucks, referred to as the National Network (NN). The federal weight limit on the NN is 80,000 lbs. Some states have other designated roads off the NN for heavy trucks. Interstate Doubles are 53’ trailers coupled together by a dolly set up. And in case you’re not familiar with it, a dolly set up is a pintle hitch from the lead trailer supporting a fifth wheel to couple to the second trailer. These are often seen on NY Throughway through NY State I-90, but they’re now also common in Manitoba, Saskatchewan, and Alberta. The governing bodies for trucking in the U.S. and Canada, both give the general driving public, that commercial vehicle safety is of prime importance. Yet it puzzles me for them to allow these behemoth vehicles on the road. Just looking at the massive size of them alone, would alert anyone with common sense, that these vehicles are more dangerous on roads shared with the driving public, than the average tractor trailer configuration with only one trailer. It’s interesting to note that in an inspection, a tiny air leak is deemed unsafe, yet these monster vehicles are allowed on our highways. Even worse, the regs are not fully enforced even though we are led to believe they are. LCV’s are only allowed to operate under the most controlled conditions: dry roads, no high winds and no bad weather. If any of these weather conditions were present, technically the unit would not be allowed to be dispatched on a trip. In spite of these rules, we’ve had at least 2 reports from Canadian truckers of encounters with these trucks, in weather and road conditions which we felt were downright dangerous. The first sighting of a longer combination vehicle, was a few weeks ago, in January, on the Trans-Canada highway, on a snowy winter’s day. The cross winds were gusting to around 100 km/hour. Dave reported seeing at least 7 of these LCV’s, from various trucking companies in a 60 mile stretch alone, coming out of Regina, headed east. These trucks should have been held in Regina due to the lousy weather, but they were out in full force on the road. The trucks weren’t parked on the side of the road or moving slowly. They were at full highway speed, none of them pulling straight due to the heavy cross winds. Any cars beside them would be in a potentially dangerous situation. We had another trucker report to us that he passed an LCV in heavy fog conditions on the Cob Pass in Nova Scotia. Another potentially dangerous situation. It was discovered by a trucker who quizzed the highway police (who has asked to remain nameless as he is in a court battle presently with the authorities). In a Canadian eastern province, they had no knowledge about what a long combination vehicle was. Nor did they know there are rules by which these vehicles must abide! These are the rules these huge vehicles are to abide by. But we have found that these rules are not strictly enforced in all cases. So, here we have provincial governments mandating safety rules, but not following through and enforcing the rules? If you were driving your Prius on the highway, would you feel safe knowing these configurations are not being stringently patrolled in the manner in which the safety regulations are outline? How Are Unplanned Stops Handled? Anyone who has driven professionally knows that there are times when it’s necessary to get off the road for an unplanned stop during a trip. It’s just unavoidable sometimes… maybe for illness, bathroom break, bad weather or whatever. These vehicles CAN’T get off the road in most places because there just simply isn’t enough room for them. They have to either hope the shoulder of the road is solid or they need to stop on the road itself. How can that be safe? Neither the highway infrastructure in the U.S. or Canada was designed with these extremely long multi-trailer combination units in mind. They are unable to negotiate most corners and can rarely find parking easily. The shoulders of our roads are usually not wide enough to accommodate an LCVehicle. The angle of the shoulder of the road can be too steep for them as well, if they need to pull off the road. Overall, after examining the facts, it can be seen that Super B’s are much more stable than a long combination vehicle unit. There are individuals in the trucking industry, including ‘some’ LCV drivers who defend the use of LCV’s. They claim that the LCV set up is really not much different than a Super B configuration. LCV units are NOT as safe as a Super B unit, and here’s why. Here are the essential differences between Super B’s and Long Combination Vehicle units. Super B – Super B’s and B trains utilize a fifth wheel for the rear trailer, which is attached to the frame of the lead trailer. So Super B’s are inherently more stable, track better. They don’t suffer from swaying problems on the rear trailer which is associated with a converter system. LCV – configuration is approximately 130′ in length. Super B – configuration is 75′ total length. Considerably shorter configuration. LCV – These units suffer safety issues in a strong cross wind because their height combined with light freight. High winds can virtually turns the configuration into a ‘sail’ in a strong cross wind, as the unit will catch the wind. Super B – Loaded to a height of 13’6″, they are almost always loaded with heavy product such as lumber, so that strong cross winds aren’t a problem. LCV – They have much greater surface area exposed to cross winds. Super B – These units have much less surface area exposed to catch cross winds. LCV – Long combination vehicles are more difficult to maneuver other than drive forward in a straight line. Super B -A Super B configuration is simple to maneuver and back up. After looking at just these 5 facts about each configuration, it isn’t difficult to see that the Super B configuration is the safer choice. This is never a job a new driver should take on. It’s best to get used to pulling a single trailer before you ever try to haul more. First you’ll have to know how to hitch these trailers together safely. And then you’ll have to know how to handle them. As a driver pulling double or triple truck trailer combinations, you’ll need to get accustomed to steering more slowly than you normally would when rounding corners, off-ramps, and curves to keep from rolling it over. These combinations are approximately 130’+ long when hooked to the tractor. So you can imagine the difficulty that comes with handling them. They can also be more difficult and sometimes nearly impossible to back up. In addition to the actual driving skills you’ll need, you’ll also have to become accustomed to doing more rigorous inspections of your equipment. For example, you’ll have more critical parts to keep an eye on, such as safety chains and additional electric lines. You’ll also have to check the air brake system on all your trailers. Salaries, of course, will vary throughout the industry for this type of trucking. It will largely depend on the company you work for and the type of cargo you are hauling. However, as a general rule, you will probably make a little more than an average freight trucker. US. We were unable to confirm a US salary or mileage rate for US trucking companies hiring LCV drivers. Although, some of the job salary sites were quoting average salaries of around $46,000, with my experience and knowledge of the trucking industry, I don’t believe this figure to be accurate. Note: Fed-Ex is a company which hires LCV drivers. Canada. Current LCV Job Postings. February, 2019 – Arnold Bros., Winnipeg, MB. .76/mile team split, live unload ($20 team split), pd LCV hook/unhook ($15). February, 2019 – Searcy Trucking, Winnipeg, MB $1500 sign on bonus, but no mileage rate posted. February, 2019 – SLH Transport Inc. $26.41 hr/60 hr/week. In spite of the fact that the pay is usually only marginally better than the rate truck driver pay rate, in addition to at least double the personal risk and liability, trucking companies don’t seem to have any problem finding drivers to fill the seats of these multi-trailer units. The general consensus seems to be with the slower pace, lots of hooking and unhooking involved (after all, there are twice or 3 times as many trailers) and more equipment inspections, and the extra scrutiny involved, the extra money wasn’t really worth it for them. Something interesting I did learn in my research of LCV driving jobs, was that the LCV certification issued is usually non-transferable, meaning that if a driver were to change companies, he’d loose his certification. Is Multi-Trailer Trucking a Good Career Choice for You? It’s true, that this sector of trucking does pay better than van work. However, most drivers, including myself, feel that it’s not enough to compensate for the amount of responsibility it entails. And there is so much controversy over how safe they are on the highway, it may be a much safer bet to stick to a different area of trucking. On the other hand, it is a sector in high demand because of these factors. And because few are willing to do it, there’s not likely to be a shortage of driving jobs any time soon. 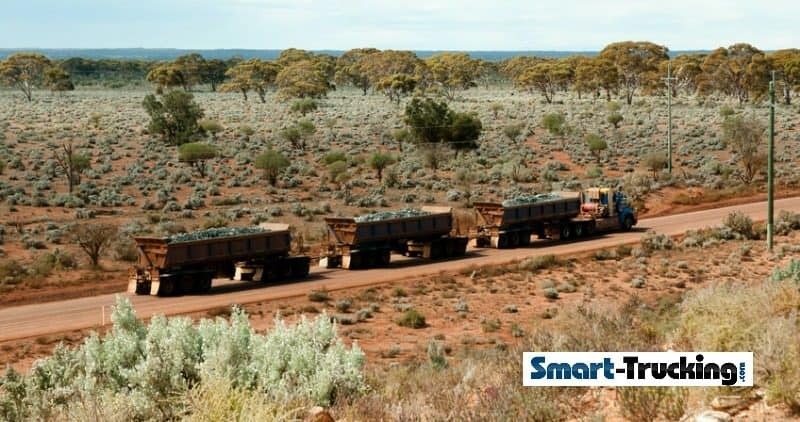 The bottom line is if this is something that interests you, make sure you brush up on your truck driving skills as well as keep up with the regulations that govern these long trailers. And it always helps to speak to other drivers in the field and watch them in action on the road, before you make a decision to pull long combination vehicles. Long Combination Vehicles – Are We Leaving Safety Behind For the Sake of Profit? Watch this video to learn more about the functionality of LCV units, their maneuverability and restrictions.